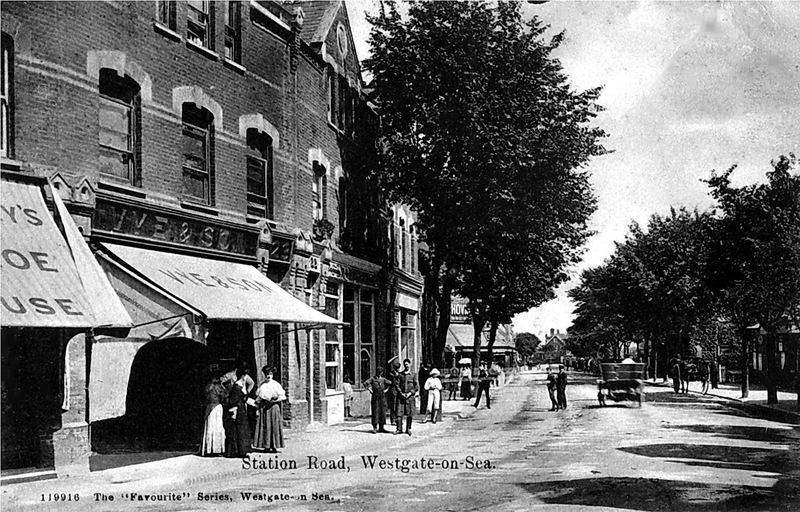 You may have heard by now that Thanet District Council's planning committee, rejected the application for a Tesco Express in Westgate's Station Road, the building unsuitable for a number of reasons: The height, scale and mass is not keeping and is harmful to the Westgate Conservation Area and location." Before I collapse in a heap, I would like to give proper credit to all of you, who proved that a small determined community can take on a giant supermarket chain and win. Last year it was Sainsbury in the Canterbury Road. Tonight it was Tesco but this was, once again, a real victory for community spirit at its finest and we will see if, following today's shock financial results for Tesco, whether it will appeal the decision of the planning committee and the very clear message, sent by our energetic band of residents here in Westgate. Thank you everyone who made my own role as a lobbying councillor a little easier, by protesting in the street, preparing and collating petitions and Facebook pages, using professional skills to build 3D models or investigate any legal basis or planning argument to lead the objection in the council chamber this evening. Most importantly of all perhaps, it demonstrated that we live in a strong community where people are not reluctant to express their opinions and where necessary, support a cause they feel strongly about. While the conservation area and Station Road isn't safe for another century, it's safe for a while at least and I have one very important request to make to all our traders and businesses in the town. We aren't living in a museum but we do want to preserve the unique character of our town and that precludes being buried under a mound of cheap and garish PVC. If and where, out-of-keeping materials on shop facades and buildings are used that dilute or alter Westgate's unique Victorian character it becomes so much easier for the planning department, under new guidelines, to roll over the objections to preserve our heritage. 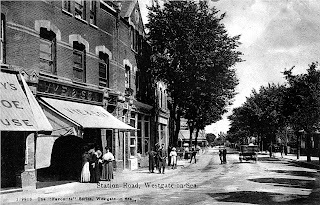 If we want to keep Westgate special and respect its past, then collectively, an effort will have to be made to protect its future and the canopied shopping in Station Road. Please help me as one of your councillors to continue to work to safeguard the character of the town for future generations to enjoy. Well done and congratulations to all. Let's hope Tesco get the message. Arlington is next. Do they have the right to appeal? Does that mean Tom King will be taking down Darren Ellis's huge picture of the Tesco plans that he's had up in the Bake House for months? So that makes you just another NIMBY, Simon, but it is fine for night flights over Ramsgate. Maybe you can also insist that all deliveries are made by horse and cart and 14 year olds are given full time jobs to keep "Westgate's unique Victorian character"... the only winners in all this are a handful of overpriced shop owners (as well as Tescos in Westbrook and Westwood Cross), not the consumers or the unemployed. Is it possible to know which councillors voted for and which were against? Nobody voted against. One abstention I believe. Does anyone know councillor Hibbert's opinion on all this? Oh Goodie! That menas we don't have to have a nice, clean, modern food store. We can have a barber/tattoo parlour/betting shop/used furniture shop instead! Just like Northdown Road in Cliftonville really. On the Tesco/Arlington thing, have you or anyone lese asked why the people who have the lease to Arlington have not been given enforcement orders or penalties for lack of maintenance? That Purple PVC must be the next battle. I will think about starting a petition about the removal of it and having a facebook page against it. PS I am anon as I cannot be bothered to register. My choice. It seems the officers recommendation to approve was very wrong, what action will be taken to address their performance ? Actually Chuck there's a Tesco Extra in Northdown Road. Extremely good news. Well done to all who campaigned against this ill-advised propsal. Good news as it simply would have been out of place. Reading the papers this morning, Tesco have egg on their face big time after the attempt to get established in the states and are now likely to hang fire on some of their developments in the UK as well. To all those in favour of Tesco in Westgate who are now making snide anonymous comments etc. Where were your clever comments and huge knowledge of planning law when you could have stood up and had your voices heard? I reckon you couldn't be bothered to actually do something to help Tesco and now its all sour grapes because it didn't go your way. 7-36 Does anyone know councillor Hibbert? No sour grapes for me, I'll continue travelling to Westbrook to do my shopping! Interesting to find that there was already an 07 Need Assessment showing less than 1%growth p.a. in £ terms on Convenience in the area over next 15 yrs - so there wouldnt have been enough £ to go round, so it would have affected viability & vitality. It seemed to show huge m2 core and convenience growth (before internet)in Margate/Thanet. As Westgate depends on visitors as well as locals, it's going to have to stay somewhere people want to come - with something they want when they get there! Sainsburys shrugged local traders would have to "up their game" which was rude, but something traders have to do all the time anyway, just to stay in business. At least they can put their energies to that now - Tesco must have been main concern lately. If there had been a Parish Council it would have had some authority in the process. The argument against a PC was that there was a strong WWRA with councillor liaison, but they were warned that didnt give an official role. If WWRA is split and councillors dont find it easy to get together at election time, is it too late for a PC, or do TDC take the lack of it into account somehow? 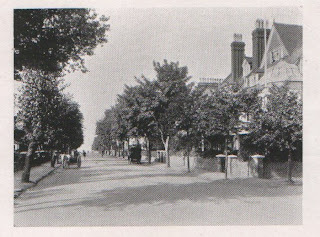 Regardless of the types of Tesco, those in Northdown Road are located in existing shops. The Tesco Metro replaced Carrefour and prior to that I believe it was a petrol station. Later on however the shops and flats attached to Tesco were demolished to allow Tesco to enlarge the shop and car park. The One Stop is not out of keeping with the area. The chosen site in Westgate was wrong for a number of reasons so well done to those who fought for what they believed to be right. > Do they have the right to appeal? Yes, they could [if they wished] take this on appeal to the planning inspectorate. It's important for TDC to give good [planning] reasons to justify why they are rejecting this application given that the decision is acting against the planning officer's recommendation to approve. I know what one of the comments here is about overpricing, Angelo's Deli for example charge 5 pounds for 250g of coffee and I pay 1.79 in Aldi in Northdown rd for just as good a product. I cannot afford to shop for much in Westgate. Yhe Co-op is also generally rather expensive at around 3 pounds 40 for coffee,just as an example. However I can't see Tesco's would have been much better value than the Co-Op anyway. So its a good decision to refuse planning as far as I am concerned. Thanks for all your efforts Simon, you must be the most active and effective Cllr in Thanet. Serious question: how about the citizens of Westgate campaigning to have trees replanted in Station Road? They look lovely in those old photographs, and were undoubtedly a big part of the place's character. A good decision as far as I'm concerned. But, as some others have said, that purple shop now needs to improve a lot. I think the owners were quite vocal in campaigning and calling for everyone to help 'protect our special little town' etc. - so now let's see if they really care about the image of Westgate and restore their own shop to something less of an eyesore. Otherwise all their campaigning will just be seen as protecting their own self-interest and not really about looking out for Westgate at all. love the idea of replanting the trees and yes to shops in Westgate that are looking tired improving their image! "love the idea of replanting the trees and yes to shops in Westgate that are looking tired improving their image!" that would get my vote too! Presumably the trees would be down to KCC rather than TDC.